Elmer Bischoff (1916–1991) is generally regarded as one of the leaders among the artists in the San Francisco Bay Area who, after contributing to the local emergence of Abstract Expressionism during the 1940s and 50s, shifted the terms of their spectacularly sensuous brushwork to recognizable imagery. Bill Berkson writes that if "David Park was the classicist of the founding triad of the Bay Area Figurative painters, and Richard Diebenkorn the modernist, Bischoff was the romantic." Designed to accompany a major retrospective of Bischoff's work, this superb volume is lavishly illustrated with duotones and color plates that faithfully capture the subtle variations in shade that characterize the painter's oeuvre. Berkson and Susan Landauer, both of whom knew Bischoff, provide the definitive view of the life, art, and teaching career of this important artist. Native to the Bay Area, Bischoff studied at the University of California under the "Berkeley School" modernists Worth Ryder, Erle Loran, and Margaret Peterson. His experience during World War II profoundly affected his view of the world and his place in it. In 1946, Bischoff joined the faculty of the California School of Fine Arts where--with colleagues Edward Corbett, Richard Diebenkorn, Claire Falkenstein, David Park, Ad Reinhardt, Mark Rothko, Hassel Smith, and Clyfford Still--he found himself at the hub of avant-garde expression in the Bay Area. Throughout his career, Bischoff applied his visual intelligence and unusual personal integrity in creating a uniquely varied body of work that invites our investigation. Having interviewed many of the artist's surviving colleagues and family members, Landauer offers valuable primary documentation on Bischoff, the Bay Area Figurative School, and the cultural history of the Northern California art scene. Her lively text is supported with insightful research into the social and political background of the period. She considers Bischoff's career in relation to the European artists who influenced him, his interactions with his local contemporaries, and his reactions to the New York art scene. 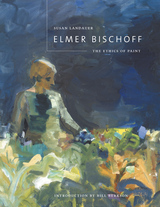 A useful chronology of the artist's life, a bibliography, and documentary photographs that Landauer uncovered during her research make this volume an invaluable resource for anyone interested in the artistic vision of Elmer Bischoff. Susan Landauer is Katie and Drew Gibson Chief Curator at the San Jose Museum of Art in San Jose, California. She is the author of The San Francisco School of Abstract Expressionism (1996) and California Impressionists (1996). Exhibitions curated by Landauer include Contemporary Devotion; The Lighter Side of Bay Area Figuration; Breaking Type: The Art of Karl Kasten; and The San Francisco School of Abstract Expressionism, which won two major awards from the International Association of Art Critics. Bill Berkson is a writer and poet whose work appears in Facing Eden (1995) and Homage to Frank O'Hara (1988).